881+ User Votes to help you find the Best Scooters in India. 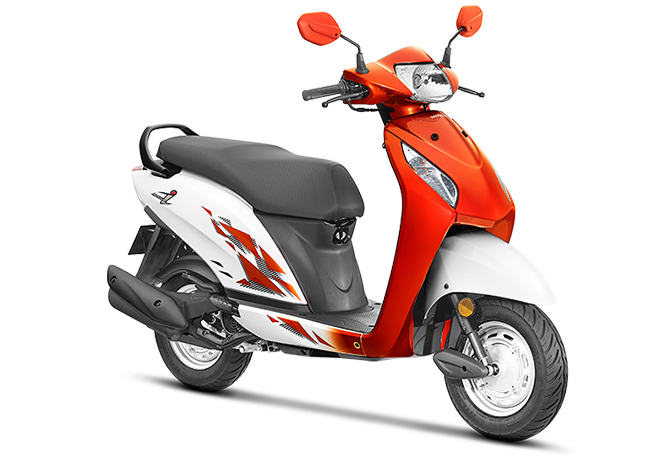 All About Best Scooters in India ✓ Specification ✓ Price ✓ Mileage ✓ Color ✓ Features ✓ Comparison. Recent trend shows that there is an upsurge demand for scooters in Indian market.Scooters have always been the favorite option for the riders who desire for a durable vehicle along with a promising comfort. When we talk about scooters the very first thing that makes its way to our minds is the economy and ease of use the vehicle provides. The two-wheeler segment in India is witnessing today the presence of around two dozen scooters and the inevitable demand of these beauties has led us to assist the crowd who are looking forward for a scooter that could be considered as the best value for money machines. Vote for the best Scooters In India? *Note: The Rank is based on readers voting. You can also vote to your favourite scooter through the vote section. TVS Jupiter – TVS Jupiter is the newest entrant fron TVS in very competitive 110cc scooter category which is dominated by Activas and Vespa. The new Scooter is based on its on Wego scooter as both are known for rPower, Comfort, Safety, Convenience, Assurance, Mileage, Style & Colours. It has around 109.7cc, Single cylinder, OHC, Air Cooled, 4-stroke, 5.88 KW at 7500 rpm maximum power, 8Nm at 5500 rpm Maximum Torque, Advance Telescopic front Suspension and Gas Charged Mono Shock rear suspension with 6 liters fuel capacity. TVS Jupiter has a best class mileage 62kmpl. It is available in 4 versions and 10 colors. Honda Activa 125  – Honda has launched the updated version of the 2018 Activa 125 in India. Honda Activa 125 2018 model has been updated with LED headlamps. The instrument cluster design has also been revised, with the analogue speedometer paired with a new digital display. The display shows odometer, trip meter, fuel gauge, clock and a service reminder. The scooter is powered by a 124.9cc, air cooled, 4 stroke, SI, Honda Eco Technology (HET) engine which produces 8.6 Bhp of power at 6500 rpm and 10.12 Nm of torque at 5500 rpm. The engine mated to a automatic gearbox. The 2018 Honda Activa 125 gets a 3-step adjustable monoshock unit at the back, while the telescopic fork at front is similar to the older model. It also carries forward the metal body panels. An underseat mobile charger continues to be an optional extra. Hero Maestro Edge – The masculine looking scooter from hero is for mens as its dynamic looks attracts people who wants a strong looking scooter wich is quite rough and tough to use it compete with the highest selling scooter Activa . It comes with a 109cc, Single cylinder, OHC, Air Cooled, 4-stroke, self start, 6.0 kW ( 8.2 Ps ) at 7500 rpm maximum power, 9.10 Nm at 5500 rpm Maximum Torque, Digital-Analog Combo Meter Console, Combined Breaking System with 5.3 liters fuel capacity. It has mileage around 55kmpl. It is available in 2 versions and 9 colors. Honda Activa 5G – Honda lunched the new Activa 5G in India. The name suggests, is the fifth-generation model of Activa. The new Honda Activa 5G gets an LED headlamp, two new colors and a few other updates. The new LED headlamp and position lamps are a first for the 110cc scooter segment. The scooty is powered by a 109.19cc, single-cylinder, 4-stroke, air-cooled, BSIV-compliant engine with Honda Eco Technology (HET) that churns a maximum power of 8.11 Bhp at 7500 rpm and a maximum torque of 9 Nm at 5500 rpm. Braking is handled by 130mm drum brakes at both the front and rear. The suspension setup includes spring-loaded hydraulic shocks at both the front and rear. The Activa 5G is offered in two variants STD and DLX. Vespa LX 125 – Piaggio, a company which officially introduced scooters in India may not be known much by our youth but our elder generation knows it really well. Once again they are ready with their iconic Vespa for India and aims to create a new segment of scooters in our market. Piaggio Vespa LX 125 is a good power packed alternative in the scooter segment from the Italian brand. Piaggio Vespa LX is powered with a 125cc engine giving out a power of 9.76 bhp at 7500 rpm and a torque of 10.6 nm at 6000 rpm. 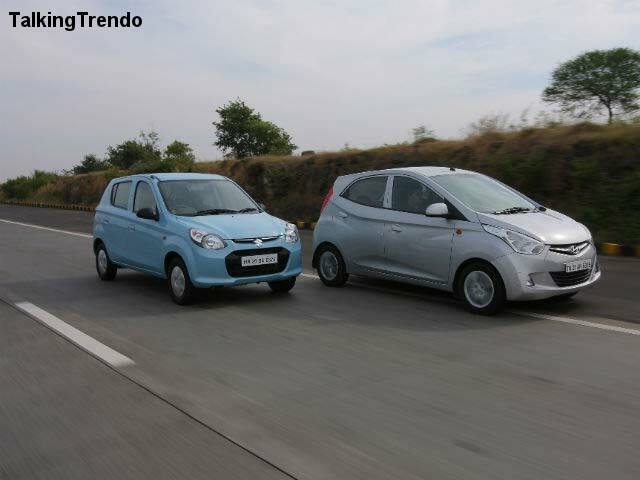 It can be compared to Honda Aviator in this segment with same top speed and mileage prospects. It is available in 1 version and 4 colors. 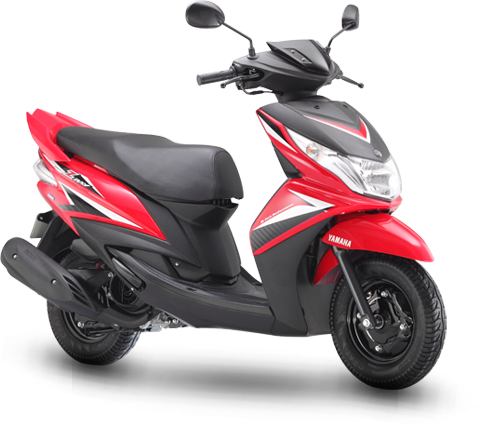 Honda Dio – Honda Dio is basically kept below its Activa in its prooduct range so to target young girls and boys as the scooty is quite nippy and fun to look at but one major drawback is its average Fuel economy. It has around 109 CC, 4-stroke, Single Sylinder, Air Cooled, OHC, 6.0 kW 8 Bhp at 7000 rpm maximum power, 8.77 Nm at 5500rpm, Combi Brake, Tubeless Tyres with 6 liters fuel capacity. 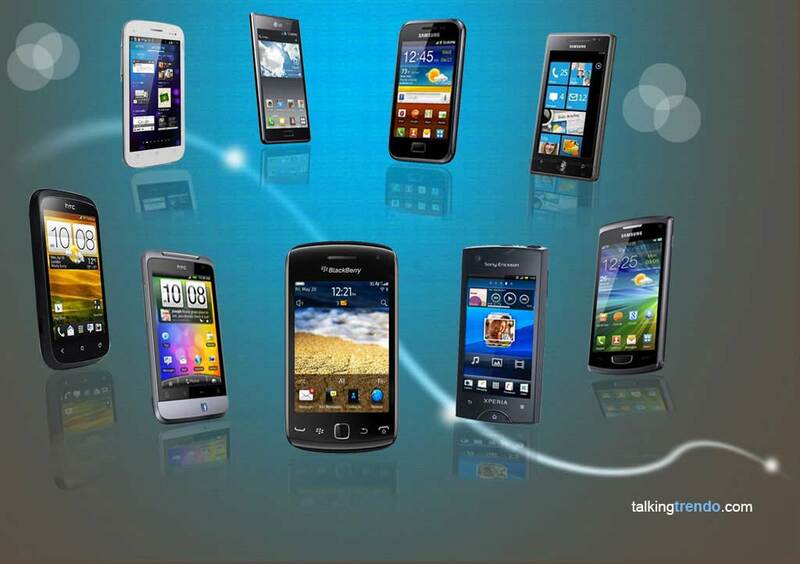 It is equipped with zero maintaince battery and good 18 lier boot spoace. It is available in 3 versions and 9 colors. 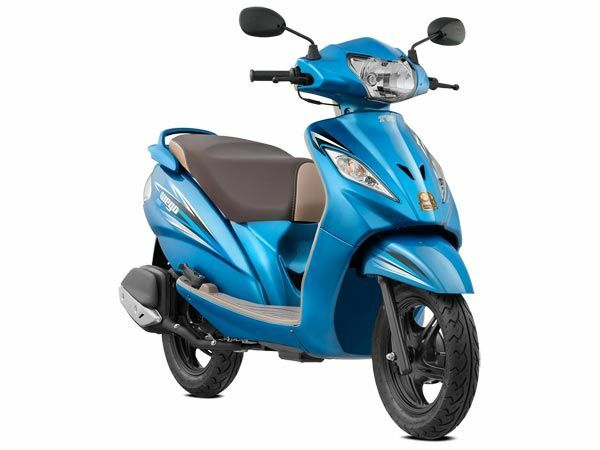 Yamaha Ray Z – Yamaha major target audience is female bikers, young girls so Yamaha has designed Ray for them The bike is very comfortable & stylish as its beautiful front lights will surely attract women drivers along decent boot space. The scooter comes with the 113cc, 4-stroke, SOHC, 2-valve, Air-cooled, 7.1PS / 7,500 rpm maximum power, 8.1 Nm / 5000 rpm maximum torque, Single cylinder engine, V-belt automatic tranmission with 5 liters fuel capacity. It is available in 1 version and 4 colors. TVS Wego – TVS Wego is a entry level scooter from TVS, It is quite effecient and good to ride yet small. Wego comes with the best in class mileage in its 110cc category of scooties some drawbacks are in it like small boot smace and quite old style looks. It has around 109.7 cc Single Cylinder, air cooled 4 stroke, CVTi with max power 8 Bhp at 500rpm, max torque 8 Nm at 5500 pm, V-matic Transmission and Self, Kick Ignition with 5 liters fuel Capacity. It is available in 2 versions and 9 colors. Suzuki Access 125 – Access is a 125cc scooter from Suzuki. Suzuki Access 125 BS4 is inspired from retro modern design language. The scooter lies on the the top of the line agaisnt Lets and others. 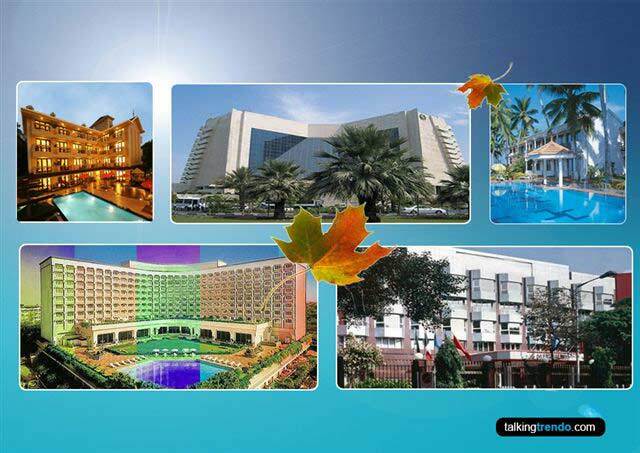 Sccess compete with the likes of Activa 125. Access is powered by a 125 cc single cylinder engine that produces 8.5 bhp of power and maximum torque of 9.8nm. It is available in 1 version and 5 colors. Madindra Gusto 110 – Gusto was the first scooter from Mahindra in India. Mahindra Gusto is an attractive, performance oriented scooter. The styleicious looking scooter comes with a 110cc M Tec engine. It is powered by an 109.6 cc engine which gives out a power of 8 Bhp at 7500 rpm and gives out a torque of 9 Nm at 5500 rpm. It is the first scooter with adjustable seat option. Also inclodes a remote flip key, find me led lamps and good storage compartment. It is available in 3 versions and 12 colors. Suzuki Lets – Suzuki Lets basically known for Stylish, light and fast. 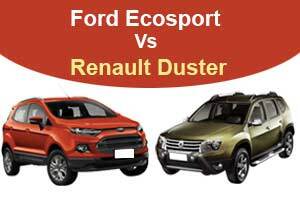 It has around 112.8cc, Single cylinder, SOHC, Two Valve, Air Cooled, 4-stroke, self start, 6.5 Kw at 7,500rpm (8.7 Hp at 7,500 rpm) maximum power, 9.0 Nm at 6,500rpm Maximum Torque, CVT Transmission, Self & Kick, with 5.2 liters fuel capacity. Now the colours are avail in India Pearl Mirage White, Orange / Matte Black, Glass Sparkle Black and Royal Blue / Matte Black. Suzuki Lets is delivering a mileage 63 Kmpl. It is available in 1 version and 4 colors. TVS Zest 110 – The Third offering fromTVS in Scooter line after Pep and Streak. Zest the third off It comes with a 110cc 4 stroke, Air cooled, Single Cylinder CVTI engine with max power 5.9 bhp at 7500 rpm and max torque 8.7 Nm at 5500 rpm, Pick-up 0-60 kmph in 11.1 sec, Back-lit Speedometer, LED Tail Lights, Brighter MFR Headlamp, wilight Lamps, Front Glove Box and 5 Litres fuel tank capacity. TVS Zest 110cc has a best in class mileage 62kmpl. It is available in 2 versions and 9 colors. Yamaha Fascino – The Fascino is Yamaha’s 110cc lifestyle scooter from Yamaha. The Fascino gets a distinctive appearance due to its curvy styling which flows right from its front fender to the tail lamp. It also sports bits of chrome on the bodywork and mirrors to accentuate its retro characteristics. The Fascino is powered by a 113cc air-cooled single-cylinder ‘Blue Core’ engine that produces 7bhp at 7,500rpm and 8.1Nm of torque at 5,000rpm. This unit is mated to a continuous variable transmission (CVT). The scooter sports a neo-retro design language with its main target buyers being the urban youth. 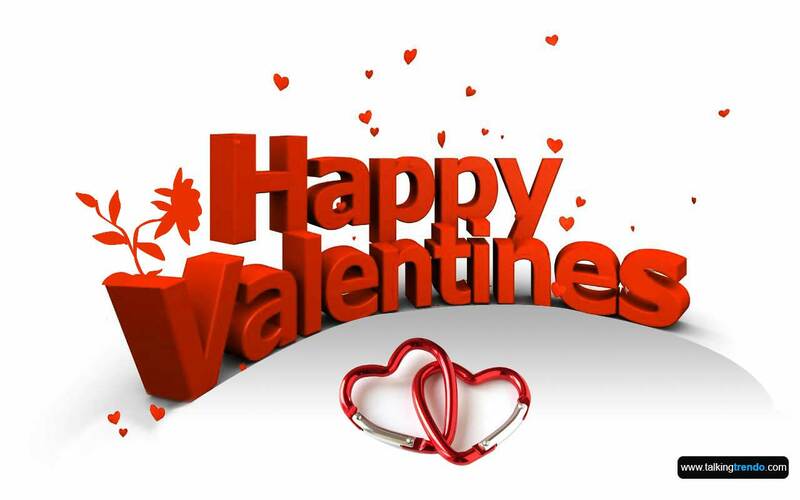 It is available in 1 version and 6 colors. Suzuki Swiss 125 (Discontinued) – It has around 124cc Single Cylinder, 4 stroke, OHC engine with 9.8 Nm at 5000 rpm (1.0kg-m at 5,000 rpm) maximum torque, 6.4 Kw at 7000 rpm (8.58 Hp at 7,000 rpm) maximum power, CVT Transmission, Maintenance Free Battery, Tubeless Tyres, Telescopic Front Fork Suspension, Stylish Blue Lens Position Lamps & Multi-reflector Lights ensure that excellent power at all speeds with 6.0 Litres fuel tank capacity. Now the Suzuki Swiss avail in Sparkle-Black, Metallic-Triton-Blue-Sparkle-Black, Pearl-Mirage-White, Pearl-Mira-Red and Metallic-Flint-Grey colours. It is available in 1 version and 4 colors. Honda Activa 4G (Discontinued) – Honda Activa 4G has been recently launched in India. Honda Activa 4G is the update version of Activa 3G. The Activa 4G, as the name suggests is the fourth generation model of the 109cc unisex scooter. The scooter now comes with AHO (All-time Headlight On) and BS4 compatibility, making it ready for the major change in emission as well as safety norms. Activa 4G is powered by a 109.19cc, single cylinder engine producing 8 Bhp at 7500 rpm and 8.83 Nm at 5500 rpm. The engine comes mated to an automatic gearbox and carries the same set of features like tubeless tyres and CBS with Equalizer. Activa 4G now comes with a redesigned front center panel and adds a mobile phone charger to the feature list. It is available in 1 version and 7 colors. Mahindra Rodeo UZO 125 (Discontinued) – It has around 124.6CC Single Cylinder, 4 stroke, DCDI engine, 6 kW at 7000 rpm maximum power, 9 Nm at 5500 rpm maximum torque, Tubular Frame, 7 ah lead acid with 4.5 Litres fuel tank capacity. Now the Mahindra Rodeo avail in Mystique Violet, Electric Green, Flame Orange, Onyx Blue, Derby Red, Fiery Black and Pearl White colours. Mahindra Rodeo 124.6CC has a mileage 59.38 kmpl. It is available in 2 versions and 4 colors. Mahindra Duro DZ (Discontinued) – Mahindra Duro DZ comes with 124.6cc, 4-stroke, DI Engine, 8 Bhp at 7000 rpm maximum power, 9.0 Nm at 5500rpm, Automatic (Gearless) Transmission, Front-Telescopic and Rear-Hydraulic Suspension with 6.5 liters fuel capacity. The practical looking bike has great pickup and is very good on mileage side. The automatic gearbox on the scooter helps it drive with utmost comfort. 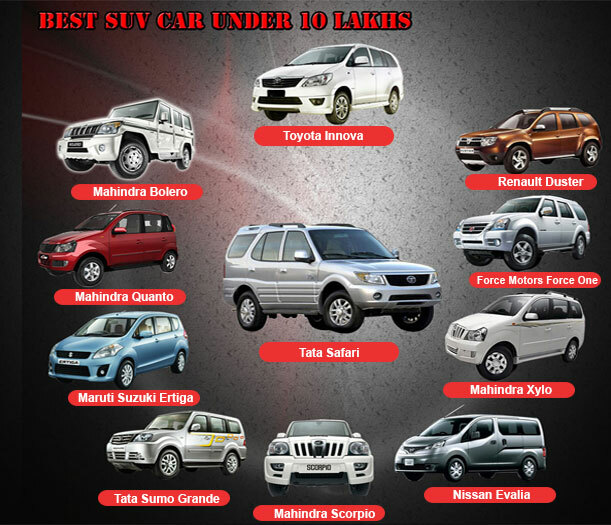 The seats are big and supportive and offer a comfortable ride. The colours are available in India Bolt Black, White, Magenta and Derby Red. Honda Activa-i  – Honda Activa-i is one of the most popular scooter of country’s largest selling two-wheeler Honda Activa series. The new 2018 Activa-i also come with a four-in-one ignition and a separate switch to open the seat. Other changes include a metallic exhaust muffler, front hook and a dual-tone analogue instrument console. Honda Activa-i is powered by a 109.2cc engine and also comes equipped with Combi-Brake System (CBS), viscous air filter, tubeless tyres and maintenance free battery. The company claimed Activa-i is their 1st light weight compact automatic scooter for the Indian market. This engine also features Honda Eco Technology which helps in reducing friction within the engine and enhances fuel-efficiency which makes it one of the most fuel efficient automatic scooters available in India. Honda Cliq – Honda Cliq is a new entry level competitor from Honda in the lightweight scooter segment. It is Honda's most affordable automatic scooter targeted towards the rural and semi-urban market. Honda Cliq is a watered down version of a typical moto-scooter. The scooter gets faux carbon-fibre finish on the plastic panels, but in different colours. The Cliq is powered by the same 109.19cc engine which generates a maximum power of 8 Bhp at 7000 rpm and produces a maximum torque of 8.94 Nm at 5500 rpm. Honda has equipped the Cliq with an optional luggage rack. The scooter’s Ceat's block pattern tyres, offered as standard to take on the rough roads easily. It is available in 2 versions and 4 colors. Yamaha Ray ZR – Yamaha Ray ZR is the 110cc scooty from Yamaha. The scooty being targeted towards young male consumers. The Ray ZR is powered by a 113cc single-cylinder petrol engine, which develops 7 Bhp of power and 8 Nm of torque. The engine is mated to a CVT transmission. The Yamaha Ray ZR features the same aggressive lines which made the current model so popular among youngsters, though the body panels have now been redesigned. The front gets a new fascia with a redesigned headlamp, while is flanked on both sides by the turn indicators. The side profile also features revised lines, and the grab handle is now bigger and easier to hold on to. It is available in 3 versions and 5 colors. Hero Duet – The Hero Duet is a unisex 110cc scooter from Hero MotoCorp. 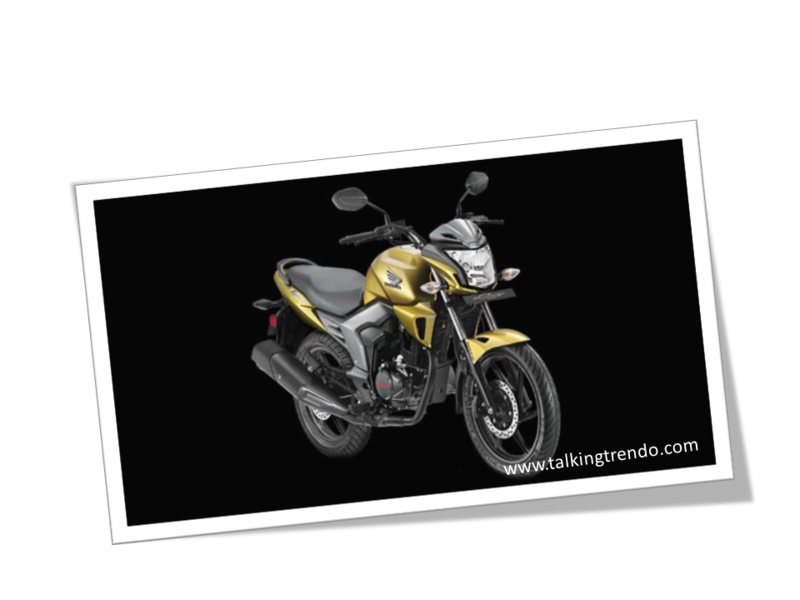 Hero duet is one of the first new products developed independently by Hero MotoCorp. The Duet is being promoted as a family scooter. The metal body is beautifully moulded into a very modern and dynamic shape, which makes it one of the best-looking scooters in the segment. The Duet is powered by a new 111cc single-cylinder air-cooled engine. This engine delivers 8 Bhp of power and 8Nm of torque through a CVT transmission. The scooter come with black floorboard, seat and the grab rail contrasts beautifully with the funky paint schemes. It is available in 2 versions and 5 colors. Hero Pleasure – The Hero Pleasure is the entry level scooter from Hero. It appeals to its target audience with trendy paint schemes and an integrated braking system (IBS). The Hero Pleasure is powered by a single-cylinder 102cc engine which produces 7 Bhp of power and 8 Nm of torque. The Hero Pleasure’s most significant update is the new IBS. Other updates include a light in the glovebox, a lockable glovebox, a side stand indicator and combination ignition lock and seat opening mechanism. It also gets a new instrument cluster and a mobile charger socket, which is a very handy feature. It is available in 2 versions and 7 colors. Honda Grazia – The the Japanese automaker Honda Motorcycle Scooter India has announced the new Honda Grazia that has been described as an ‘Advanced Urban Scooter’ for the metropolitan cities. The Honda is targeting the young and cosmopolitan consumers in India, and it reflects in the design language of the new automatic scooter. Honda says the Grazia will “create new excitement with its advanced technology, innovative industry first features and sharp design lines.” It is available in 3 versions and 6 colors. Honda Aviator – Honda Aviator is the 110cc scooter from the Japanese automaker Honda. The Aviator is mainly targeted towards male riders. Honda Aviator is the third scooter that Japanese maker offers in India after the Activa and the Dio. The Aviator is powered by a 109cc single cylinder air-cooled engine churns out 8 Bhp at 7000 rpm and maximum torque at 8.77 Nm at 5500 rpm. The scooter gets the V-Matic transmission and can be started using kick start as well as self-start option. With the recently updated Honda Eco Technology (HET) the scooter has company claimed efficiency of 60 kmpl. It is available in 3 versions and 4 colors. Mahinadra Gusto 125 – Gusto 125 more powerful, more stylish version scooter from Mahinadra. Gusto is powered by a 124.6 cc, 4 Stroke, air cooled M-TEC engine. The scooter comes with features halogen lamp with LED elements, remote flip key, find-me lamps, height adjustable seat, easy front kick, guide lamp and a quick storage compartment. It comes with a conservative body style and uses matching color inserts on the new dual tone shades on the 125 cc variant. It is available in 2 versions and 4 colors. Honda Activa 3G (Discontinued) – The 3 gen of Activa scooter from Honda Activa 3g is a instant hit as people here has identified onda to make dependable scooters as this new Activa 3g was launched with a 110cc, Single cylinder, Air Cooled, 4-stroke, self start engine with 5 liters fuel capacity It is more over inspired from its big brother 125cc Activa. Now the colours are avail in India Geny Grey Metallic, Trance Blue Metallic, Black, Lusty Red Metallic and Pearl Amazing White. Honda Activa 3G will deliver a mileage 60 Kmpl.